The energies of the 11/11 gateway are already upon us and it is as if we are being squeezed though the eye of the needle. All that is not truly our soul is being shown so that we can make the conscious choice to leave it behind. In conversation with my team they explained that the human is being released. When I pressed them on what that means they went on to say that what is considered human is our duality, lack, limitations, and fear. What is not considered part of the human is our personality, our likes and dislikes. Who we truly are is not going anywhere, what is leaving is all that we are not. However, even with this explanation many are experiencing fear associated with letting the human go. Right now many are feeling extremely anxious and depressed, as the resurgence of lack, limitation, doubts, and duality programming is looping throughout your form. It is so we become so uncomfortable with these feelings that the anguish of hanging on is greater than our fear of letting go. Another component to the leaving the human behind is having to understand deeply that we are worthy of the life that we desire. We are worthy to have the relationships, career, happiness and joy that we so desperately want. We can have life filled with the beautiful flow of the universe and a peaceful existence. As you read these words, what emotions arise? Do you feel the truth to these words through your being or is there a fear underneath begging to be heard? Do you feel selfish for wanting it all? Do you fear that when good things happen, the bottom will soon drop out? Do we dare to believe with all of our hearts that we are worthy? Look at all the insecurities these energies have brought up in the recent weeks. They are showing us where we hold a lack or not good enough vibration within us. Once we see it we can shift it. As these energies are here to assist us, now is a good time to create a ceremony, a way to mark your transition into the new. Make a list of all that you want to leave behind; all that no longer serves you. Feel each thing deeply within your form as you write them down. Sit with them, look how they have served you and how they have held you back. Don’t rush the process, take as long as you need to. Once you have complied your list, thank the energies and then release them. Some find the simple act of writing works, others like to burn the paper, tear it into bits, or even bury it in the ground. Do what feels right for you. While you are working on setting yourself free call in your angels, masters, and guides. I like to call in Archangel Azrael whom helps with transitions, Kali the Hindu Goddess of transformations, and the elemental kingdom. The help we can receive when we give permission to be helped is tremendous. Once you have released what you no longer need, now make a list of what you do want moving forward. I find it best to keep the list general and allow the universe to show me the HOW. For example, on my list I could have “I want a peaceful existence”. I then turn these into a mantra “I AM peaceful”. This helps me to feel anchored into what I do want, instead of focusing on what I don’t want in my field. What is also coming up to be examined are the past lives that are affecting us now. While we have many past lives we don’t need to dive into them but we do need to be aware of the patterning that we have brought forward in this life time. When working with clients, clearing their energy fields and aura I am being shown that for many it is the time of completion. That the theme they have been exploring from all of its angles is now ready to be integrated and the lesson learned. For example if a person is learning the theme of abandonment, the lives they experienced could have seen them as the one abandoned, the one doing the abandoning, or even the one loving another with abandonment issues. The variations are endless as are the emotions explored. The point is, it is now time to heal from it all and come away with a deep love and understanding of the issue. When you have been it all, done it all, experienced it in so many ways, how can you then judge another without judging yourself? You can’t and that is the point. Also what is taking place right now is a deep need to heal all of our parts, to call them home. These are showing themselves in dreams and memories that are surfacing. Honor all that is coming up, don’t minimize what to your adult mind may seem trivial. To your inner child, these were major and now need to be healed. All of your memories, not just childhood ones are coming up to show you what is needing more love. For me, obtaining a Soul Retrieval to bring the parts ready to return has been pivotal for me. It helped me to feel whole again. It helped me to integrate the soul pieces lost due to childhood trauma, car accidents, multiple surgeries and chronic illness. We must be whole and healed in order to embody our entire soul. Dreams are really intense right now. We are working through major issues in our sleep space. Some are having vivid and fearful dreams and feelings of impending doom. When these occur, ask yourself if these are for your current life and timeline or if they are memories from another time. We have been here before, we have been on the cusp of a huge transition and it didn’t go well for the inhabitants of earth. Think on Atlantis and Lemuria. Keep in mind that it was decided that this time we would be able to make this huge journey without the mass destruction of humans. Some are having dreams of epic battles of good versus evil. These can be the subconscious mind’s manifestation of the struggle of leaving duality. If you are able to interact in these dreams, try to send the “bad” guys love, wrap them in it. You may find that with love, the battle dissolves. All whom are awakened or awakening are feeling this need to let go of what is not truly you and what is no longer beneficial in your reality. What changes is the degrees in which this is felt. For some, it seems that their life has been tossed into the middle of a tornado and what no longer serves is being forcefully removed. For others they are finding that the ground they established under them after the tornado is now shifting again. While others are finding firm footing and that their path is clear. 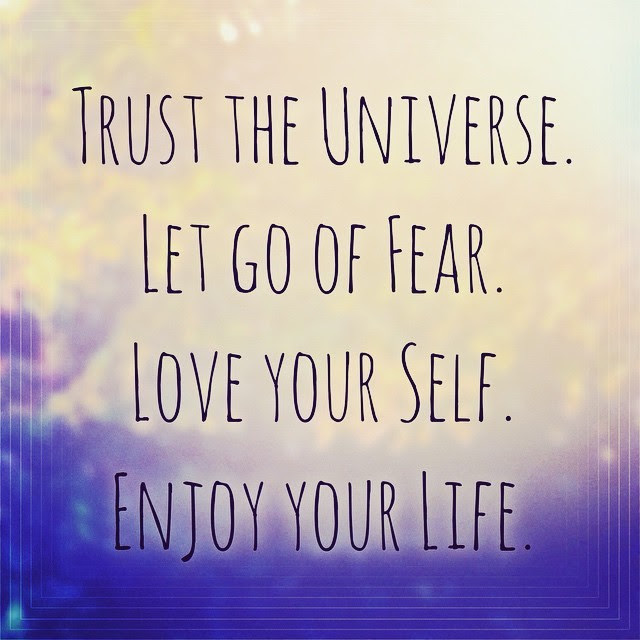 Wherever you are in this process, allow yourself to trust in the universe and simply let go without fear. It is much like untying your boat from the shore allowing it to drift, knowing that you will eventually land exactly where you are meant to be. It is understanding that if there is a huge storm, sometimes the safest place is out to sea. Those that choose to stay anchored will find themselves battered against the rocks and overcome by huge swells. Keep your balance, Keep your neutrality, for you don’t know the big picture, Keep your heart open and Source love flowing through you. Keep trusting. When our heart is open and love flows through us, all our fears and anxiety melt. The parts that no longer serve us seem to just fade away. Sending you all so much love and support as we go through these amazing times. Thank you to all who support and share this work. As with all information we receive regarding the ascension process, discernment is necessary. If you read or hear something and it does not resonate, simply let it go and find what makes your soul say YES!